Pastrami sandwich, coming soon to Our Fathers deli in Allston. Picture it: Acton, Mass. Summer 1995. I was a high school junior, and a bagel shop had appeared on the outskirts of town. It was a typical suburban affair with teenage cashiers and bins of bagels in flavors both traditional and trendy. But it had lox. At 16, I was still in the “evolutionary” phase of my culinary persona. And so I did what any mildly curious half-Jewish girl in the Boston suburbs might do: I ordered a bagel with jalapeño cream cheese, onion, capers, and lox. Lox! It sounded exotic, melodious yet clipped, and I was willing to give myself over to adventure. It was a revelation: salty, tangy, nearly spun from silk. Its ridges seemed to absorb the onion and caper juices, imparting an aromatic pungency that alarmed my friends. But I was hooked. Then I was on a mission to eat as much lox, whitefish, sable, and herring as possible. It was delicious, sure. But more to the point, eating it seemed like a badge of honor. This, finally, was my ethnic duty and my own personal culinary calling. Some people had lasagna. Others had kimchi. I had lox, and lox had mystique. Colorful and complex enough for a holiday celebration. Why? For one thing, good Jewish food is hard to find in these parts, the culinary equivalent of a David Bowie “Space Oddity” 7-inch single. Old-fashioned delis and bagel shops have been a dying breed until recently. In 2009, Canadian journalist David Sax penned “Save the Deli,” a slightly tongue-in-cheek plea to preserve those salted, cured emporiums of yore. Around this time, delis and bagel shops began resurfacing in places like Brooklyn and San Francisco, with spots like Mile End and Wise Sons. They appealed to a new generation of people like me — perhaps not ultra-religious, maybe with only passing acquaintance with borscht — longing to dust off a piece of their cultural identity through that great equalizer: food. They may not go to temple on Rosh Hashanah, but they still want to gather with family and friends around the holiday table, or at least at brunch. Now Bostonians are starting to open these places, too. In Kendall Square, the coolest new restaurant isn’t a techie cafe but a deli, Mamaleh’s, run by the folks who operate hipster haven State Park. 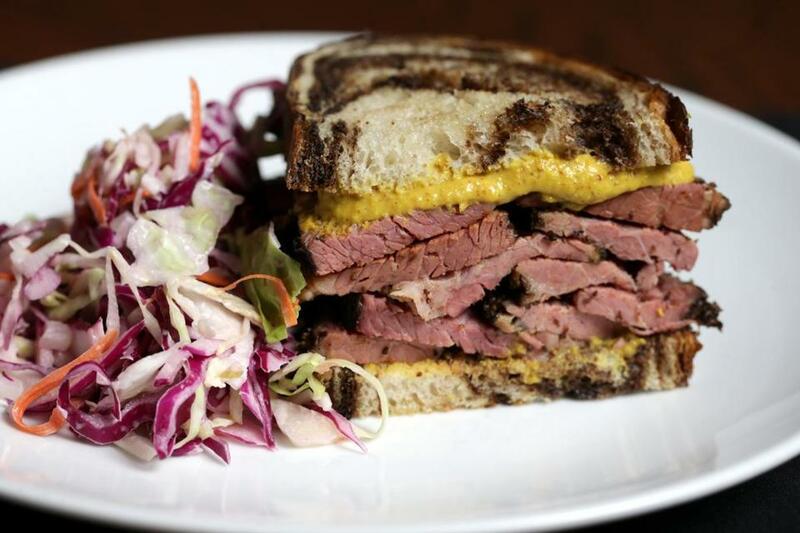 In Allston, the team behind Tasty Burger and Citizen Public House & Oyster Bar will soon launch a Jewish deli, Our Fathers, with a signature pastrami sandwich. And now there are bagels, everywhere: Better Bagels. Exodus Bagels. Levend Bagelry. Bagelsaurus. Jewish food, extinct? No longer. In many cases, restaurateurs are driven by the same feelings I had — a blend of pride and nostalgia for a food that’s gone largely untended for a generation or so. And customers are driven by the thrill of the hunt. 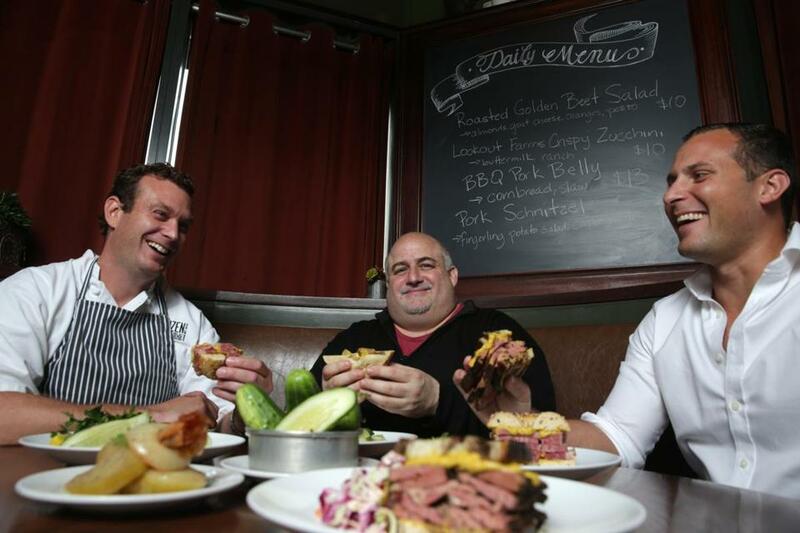 The team at Our Fathers (from left): chef Brian Reyelt and owners Dave DuBois, and Phil Audino. “Growing up, there was a deli culture,” says Our Fathers’ David DuBois, whose father is Jewish. “We’d go to Provisor’s in Newton and Jaffe’s Pick-a-Chick in Brookline. We didn’t have a lot of money, but this was a splurge. We’d get a choice of one sandwich. My sister always got chopped liver,” he recalls. But even as a kid in the late 1970s, he realized that Jewish deli was, well, chopped liver. Gradually, though, many businesses died out. The food was difficult to prepare and time-consuming; the profit margins were low. “It was a combination of everybody dying who knows how to cook it and the business itself being too expensive to run,” says DuBois. After all, curing pastrami for a week or hand-rolling bagels is not a pursuit for the impatient or the money-hungry. “This is a labor-intensive cuisine. It’s not a very high price point, for all the labor that goes in. Especially when you look at a restaurant like ours, where 90 percent of the food is made from scratch,” says Zaftigs’ Evan Shuman, whose father, Bob, opened their Brookline deli 20 years ago — eons in restaurant time. Down the street, Rubin’s Deli recently shut its doors after decades because owner Allen Gellerman longed to spend more time with his family. This isn’t a job for the weak. Speaking of Five Guys: Many health-conscious baby boomers considered Jewish food, well, bad for you. 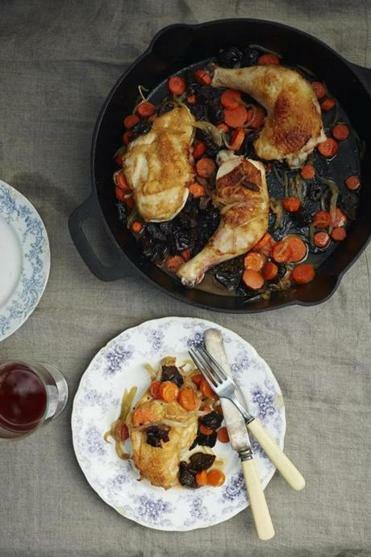 “One piece of it, which I think had a big influence on Jewish food specifically, was a real fear of fat and a real fear of rich food among our parents’ generation,” says Liz Alpern, coauthor of “The Gefilte Manifesto,” a glossy new cookbook with fresh takes on traditional Jewish recipes. She and her co-writer, Jeffrey Yoskowitz — a pickler — run the Gefilteria, a New York-based enterprise wherein they host dining events centered around Jewish cuisine. Their following is huge and mainly young, thanks in large part to their embrace of a food that’s been considered off-limits for so long. “We went to Florida for the book, and we spoke to Jewish women who came of age fearing schmaltz and butter. This is not unhealthy food! We promise you, we eat this all the time, and we feel great!” she says with a laugh. Platters of assorted fish and bagels at Mamaleh’s in Kendall Square. They’ll host a signing at Mamaleh’s next month. Although the place is just a few months old, it is rapidly gaining a following. The restaurant draws diners looking to recapture a bit of their youth, says owner Alon Munzer, but there’s also the cachet of tapping into one of food’s last unexplored corners of exotica. We’ve deep-fried Oreos; we’ve eaten Korean tacos. 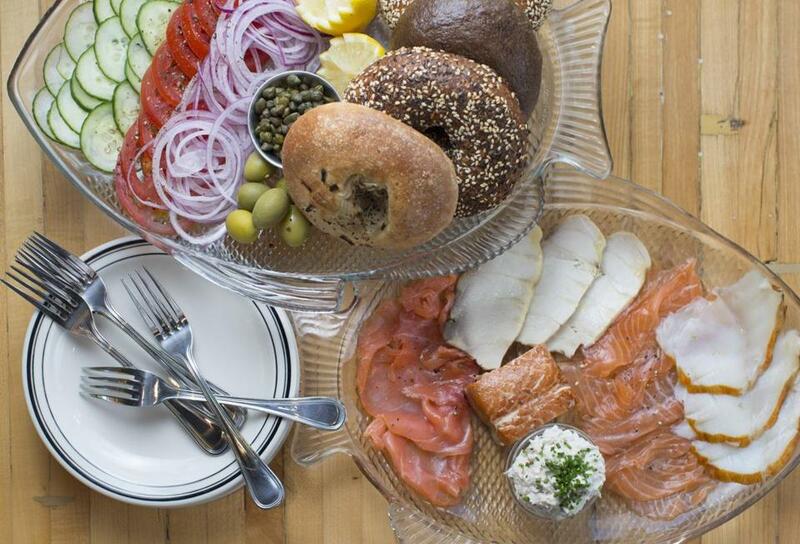 In some ways, Jewish food is the last new — even if it’s old — frontier. Maybe it is a bit bad for you. Maybe it is a bit naughty. All the better. “I went to a Chinese restaurant years ago, and someone ordered broiled eggplant. I didn’t know about it, and I felt like I discovered something new. Now [at Mamaleh’s], with kasha varnishkes, they feel like they discovered something new. It feels like their little secret. A Reuben is the gateway, then they get some of the B-side,” Munzer says. And now, at last, the forces have aligned for this kind of experimentation. Running a Jewish deli might not be an aspiration for your average second-generation Eastern European immigrant. For their grandkids? Fair game. Take Jeff Gabel. He has a day job, but by night he runs Kitchen Kibitz, a pop-up that stages Jewish feasts at popular restaurants around Boston, serving things like matzo ball ramen. “I always saw how Jewish food could be elevated based on nostalgia,” Gabel says. “I grew up on Long Island, around Jewish deli, and it was always a part of how we were. In birth and death, there’s food. We’re emotional eaters. I wanted to bring that stuff to a new generation. We’re no longer peasants in Eastern Europe. We have more disposable income. . . . We can build flavors and spices and honor our past and our ancestors by taking food to the next level, something as simple as gefilte fish and brisket,” he says. And at its heart, this food is all about simplicity, says Adam Hirsh, who runs Exodus Bagels in Roslindale. The business has existed for a while in pop-up or farmers’ market form — so many of these burgeoning spots started as pop-ups, adding to the mystical “Where’s Waldo?” quality of finding Jewish food in this town — and his brick-and-mortar shop will open soon.